We are a full service distributor of bolting tools, torque wrench pumps, bolt tensioners and bolting systems. We deliver top-of-the-range equipment and our skilled team of engineers can cater for all your torque and controlled bolting needs in our fully authorised repair centre, offering torque wrench calibration and repair. All our bolting equipment is manufactured by the class leaders SPX Power Team. 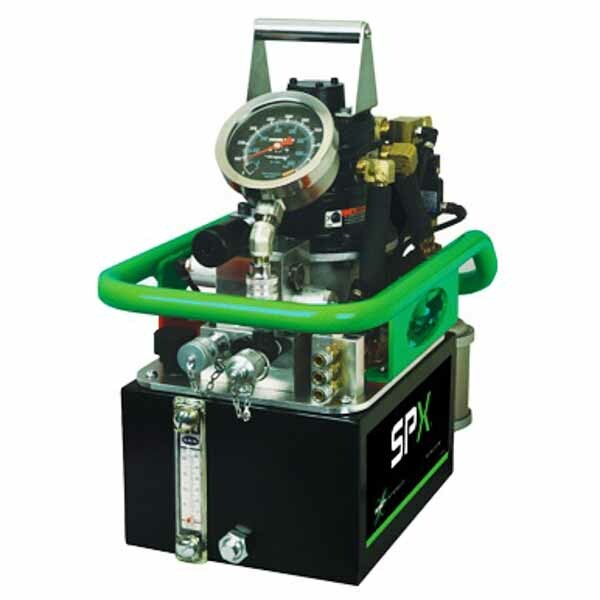 Square drive, low clearance, high cycle torque wrenches from world leading hydraulic manufacturer SPX. 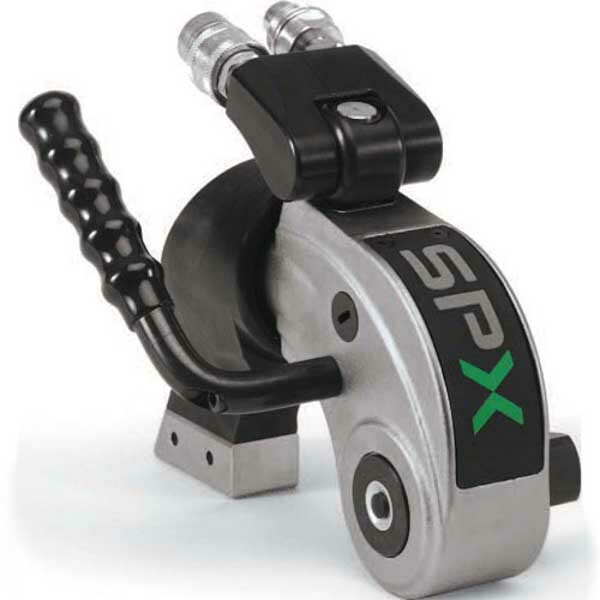 For faster project completion compared to manual bolt tensioning, SPX tensioners are worth while investment. 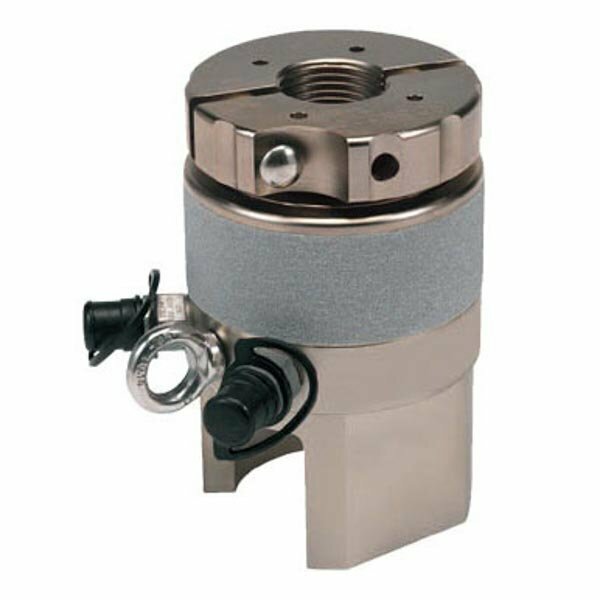 Top quality high pressure hydraulic pumps designed for durability, ease of use and life cycle cost benefits. 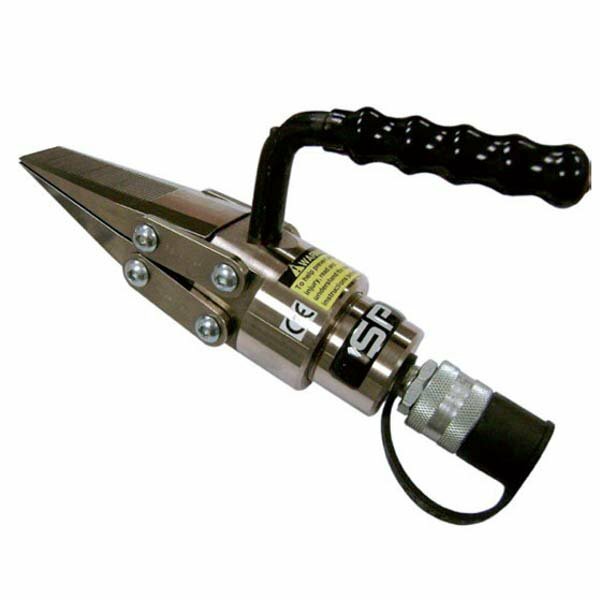 Nut splitters, spreaders, pipe flange spreaders and hydraulic nuts from leading hydraulic manufactures SPX. Enquire about hiring fully serviced and inspected bolting equipment from SGS Engineering. Help guides and resources for choosing the correct bolting system for your unique and spaciest requirements. We have chosen SPX Bolting systems, in conjunction with Power Team (the industry leader in power pack manufacturing), as our partner, because they are class leaders, continually introducing new technologies with a keen eye towards developments in new materials technology. 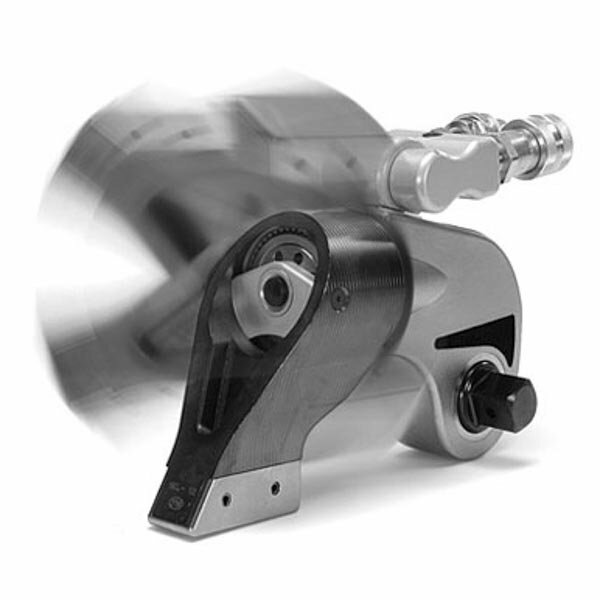 This produces pioneering smaller products, which yet have increased productivity and durability. Based in the heart of England in the Midlands, SGS’ fully authorised Service Centre provides full service and hire capabilities for SPX Bolting Systems. We are available around the clock, constantly inspecting and testing our current stock and updating our range so that we can be relied upon to complete your project as soon as required. We hire Square Drive and Low Clearance torque wrenches, subsea tensioners, topside spring return tensioners, hydraulic power packs, spanners, ancillaries and much more on request. SPX Bolting systems produces the highest quality bolting equipment in the industry and offers a warranty to reflect this. SPX torque and bolting equipment is ISO9001, ISO14001 and OHSAS18001 registered, in line with SGS’ own quality standards. Our own fully authorised service and repair centre has ISO9001:2008 certificate no.1044. SPX Bolting Systems has Rental and Sales departments worldwide. Our facility joins those in destinations including the US, Australia, Malaysia and Singapore, which is just the pinnacle of a support network that incorporates support and service centres in over 150 countries, debunking the myth, perpetrated by some of our competitors, that bolting working is a mysterious art. Our commitment to the torque and bolting industry has seen the recruitment of dedicated experts and the introduction of flange management database software, system rentals, calibrated testing rigs and industry-specific certified training programmes. SGS has cutting edge equipment in our bespoke calibration laboratories with the purpose of replicating how customers’ tools are used on site during the calibration process; this enables the most accurate testing possible with accurate results. Given our dedicated facilities and resources, your equipment will be off site for the minimum time possible. Our calibration units are supported by state-of-the-art software, ensuring optimum standard work on a consistent basis. Bolt material, flange type and lubricant are inputted into our software to enable operator confidence in what is required. 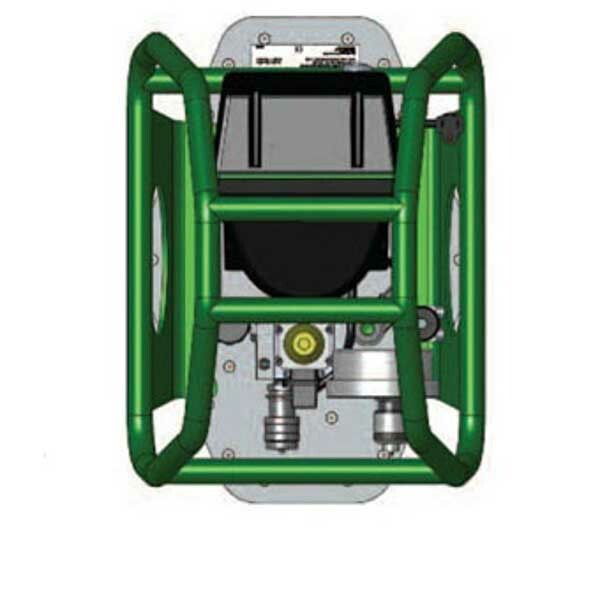 The software allows use in Subsea and Topsides applications whether it be torquing or tensioning that is required. Central to this software is the Adviser package, streamlining decades of bolting experience into a single computer software programme. The Adviser software is integral to our bolting vision because it databases the widest range of bolt tightening data, procedures and recommendations for standard flanged joints. So whether you’re looking for bolting tools, bolting systems, pump or a blot tensioner, you’re sure to find the best quality with us. Get in contact with us today.